Thinking About Adding Magnetic Locks to Your Office? When searching for complete locksmith service in the Fort Worth, TX area, there are certain key traits that a consumer needs to look for. 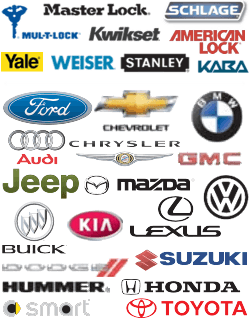 This includes looking for a company that has expert technicians, fast and friendly service, and upfront pricing. When you are looking for a commercial locksmith in Fort Worth, TX, look no further than the lock experts at Fort Worth Locksmith Pros. We have been servicing Fort Worth, TX and surrounding areas for over 5 years. Our technicians are all licensed, bonded, and insured. We exemplify integrity and service. Our goal is to ensure that you are happy with our prompt, professional service. When we say fast and friendly, we mean it! From the time you speak with us, one of our highly trained, mobile locksmiths will be dispatched to your location. Whether you have locked yourself out of your home or your car, or maybe you need a safe opened or locks installed; whatever the reason for your call, our technicians will arrive to your location in just a 30 minute response time. Fort Worth Locksmith Pros, with our 5+ years of experience, our expert technicians, and our mobile service techs, is truly the only professional locksmith company you will ever need in Fort Worth, TX. There are various times when business owners may avail themselves of the services of a complete locksmith service. Lockouts and lost combinations to safes are only one facet of the services available. Many times, a new locking device will need to be installed or an existing one may be in need of repair. Of the types of locks available, magnetic door locks are fascinating pieces of machinery. 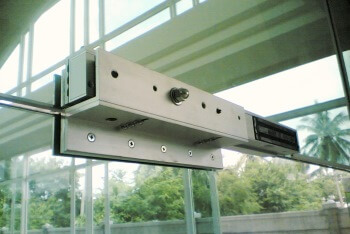 Magnetic door locks work on the concept and principle of electromagnetism. When you pass current through an electromagnet, it attracts metal. The way this is used in a lock is very simple, but quite elegant in its design. There is an electromagnet and a plate. The magnet is typically installed into the doorjamb and the plate is attached to the door. When the magnet is energized, the magnetic field will hold the plate, and thereby the door, in place. There are two types of magnetic door locks, sometimes referred to as “maglocks.” The two types are known as “fail safe” and “fail secure.” When a lock is fail safe, it means that while the lock is energized, it will remain locked, but when the power is disengaged, the lock will open. Fail secure, on the other hand, indicates that the lock will remain locked even when the power to it is turned off. If you have ever been in one of those ATM enclosures where you have to insert your card in order to go inside to use the ATM, you have probably seen a magnetic lock in use. Magnetic locks are a boon to businesses, but they need to be installed correctly, and repaired by certified professionals like those at Fort Worth Locksmith Pros. We stand ready to install and repair a magnetic lock, service it, service a traditional bolt style, or any other kind of lock. We have the expertise to advise you on which type of lock and installation is ideal for your business’ security needs. Then, having laid out a plan of action, we will complete a professional installation at the agreed upon price. You will never be blindsided by hidden charges with us because with our upfront pricing policy, you will know how much it will cost before any work begins. If you are installing traditional or magnetic door locks in a business location, the fact that we work around the clock is a plus. You can schedule our skilled professionals to install or service your magnetic door locks at the hours when your business is closed to the public, minimizing disruption and distraction. This is just one of the many benefits of employing a 24×7 locksmith service in Fort Worth. Honesty is incredibly important in the locksmith business. Many of us have seen the investigative reporting specials that TV news crews have done exposing unscrupulous locksmiths. That is never a concern when you utilize our services. Our reputation in Fort Worth, TX and surrounding cities and towns is unsurpassed. Our technicians are the best around. Whenever you are locked out or need service, give our techs a call. Whenever you need a standard cylinder lock or a magnetic door lock installed or repaired, give us a call. It is extremely important that you use the very best service available. That service is ours. We are the best 24/7 locksmith service in Fort Worth, TX. Magnetic Door Locks Installed and Repaired http://locksmithftworthtx.com/magnetic-door-locks/ 3.7/5 based upon 26 reviews.